But Peter rose and ran to the tomb; stooping and looking in, he saw the linen cloths by themselves; and he went home marveling at what had happened (Luke 24:11). Have you even seen something totally unexpected? Sometime we see something totally unexpected in a picture we took. The "Solway Firth Spaceman" is an example of this. 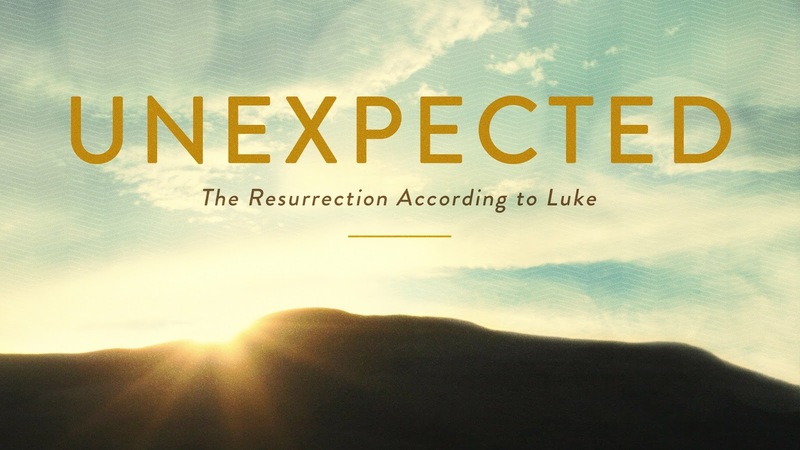 In Luke 24, we read about some other people who saw something totally unexpected: a tomb with no body. The women were “perplexed” (v. 4) when they found the tomb of Jesus empty. The empty tomb still causes people to be perplexed. Some people are perplexed (like the women) because they don’t know what to think of the empty tomb. Other people are perplexed (like the apostles) because to them the story of the resurrection sounds like an “idle tale” (v. 11). How should we respond to the empty tomb? As the perplexed women stood in front of the empty tomb, two angels appeared to them. They said to the women, “Why do you seek the living among the dead? He is not here, but has risen” (vv. 5-6). Then the angels reminded the women that the resurrection shouldn’t have been a surprise to them: “Remember how he told you, while he was still in Galilee, that the Son of Man must be delivered into the hands of sinful men and be crucified and on the third day rise” (v. 6). This is what we call the gospel—the good news. Jesus died for our sins and rose from the dead. Our hope is based on these two events. But often when we share our good news with others, it doesn’t get a positive response. 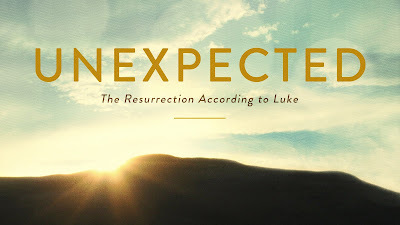 The women returned to the rest of Jesus’ followers and told them what they had seen (i.e., the empty tomb) and what they had heard (i.e., “He has risen”). But when their words “seemed to them an idle tale [i.e., nonsense], and they did not believe them” (v. 11). If the followers of Jesus didn’t respond positively to the story of the resurrection, we shouldn’t be surprised if people today don’t. The story of the resurrection isn’t easy to believe. When we share the good news of the death and resurrection of Jesus, we shouldn’t expect people to immediately believe. Patience is needed. When Peter heard the women’s story, he “rose and ran to the tomb; stooping and looking in, he saw the linen cloths by themselves; and he went home marveling at what had happened” (v. 12). Did Peter fully believe in the resurrection after he looked inside the empty tomb? Most commentaries on Luke say that “marveling” doesn’t indicate complete faith. Instead, Peter probably experienced the “first steps of faith.”  How should we respond to the empty tomb? Because the tomb is empty, we must marvel at it. Maybe you don’t believe in the resurrection. Maybe today you, like Peter, could take the first steps toward belief in the resurrection. Or maybe you’re a Christian who has some doubts about the resurrection. Those who have doubts about the resurrection should spend time thinking, “What happened?” It can’t be denied that something happened. The empty tomb of Jesus shouldn’t be ignored. Why? Because if the tomb is empty because Jesus rose from the dead, everything changes. Most scholars—Christian and secular—think that the tomb of Jesus was empty. Darrell L. Bock, Luke, 607. Grant Osborne, The Resurrection Narratives, 114. The enemies of Jesus claimed that the disciples of Jesus stole his body from the tomb (Matt. 28:13). Oh give thanks to the LORD, for he is good; for his steadfast love endures forever! (Ps. 118:29). The excited crowds recited Psalm 118. The psalm says, “Save us, we pray, O LORD!” (v. 25). They wanted salvation from the Romans. But what the people wanted on that day wasn’t what they really needed. Psalm 118 begins and ends with the following exhortation: “Oh give thanks to the Lord, for he is good” (vv. 1, 29). Because God is good, “all that God is and does is worthy of approval.”  But it’s easy to doubt God’s goodness when he doesn’t give us what we want. As Jesus rode into Jerusalem, the people cried out, “Hosanna to the Son of David!” (Matt. 21:9). “The Son of David” was a messianic title. John writes that the people called Jesus “the King of Israel” (John 12:13). The people also “took branches and went out to meet [Jesus]” (John 12:13). About two hundred years earlier, a Jewish rebel group known as the Maccabees liberated Judea from Antiochus and the Greeks. One of their victories was celebrated with palm branches (1 Macc. 13:51). It’s clear that the people thought that Jesus could be a king to lead them against the Romans. But what the people needed was a different kind of salvation. What we needed came at an amazing cost to God. Five times Psalm 118 states that “[God’s] steadfast love endures forever” (vv. 1, 2, 3, 4, 29). We can trust a good God who loves us this much. When thinking about God’s goodness, we could list all of the good gifts from God. But the gift of Jesus is really all we need to prove God’s goodness. When the people cried out “Hosanna!” they were saying, “Save us!” By the first century it had become a cry of praise to God. Wayne Grudem, Systematic Theology, 197. Psalm 118:22 is quoted in Matthew 21:42; Mark 12:10; Luke 20:17; Acts 4:11; 1 Peter 2:7. “There is no warrant here for the preacher’s favourite comment on the fickleness of a crowd which could shout ‘Hosanna’ one day and ‘Crucify him’ a few days later. They are not the same crowd. The Galilean pilgrims shouted ‘Hosanna’ as they approached the city; the Jerusalem crowd shouted, ‘Crucify him’ (R. T. France, The Gospel of Mark, 430). 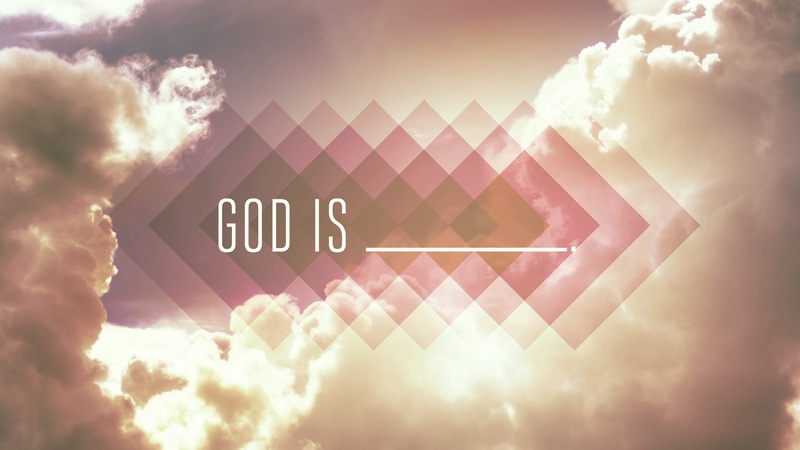 Part 2 of God Is _____. The steadfast love of the LORD never ceases; his mercies never come to an end; they are new every morning; great is your faithfulness (Lam. 3:22-23). Is Dawkins correct? Is the God of the Old Testament a merciless monster? Lamentations is not one of the most popular books of the Bible. A “lamentation” is “an expression of great sorrow or deep sadness.” The author of Lamentations  mourns over the destruction of Jerusalem by the Babylonians in 587 B.C. The reason for the destruction of Jerusalem was the people’s sin: “the Lord has afflicted her for the multitude of her transgressions” (1:5). Lamentations frequently mentions the anger of God, but God is not a merciless monster. For example, 3:1 says, “I am the man who has seen affliction under the rod of his wrath.” Many people don’t want to believe that God gets angry, but would God be good if he didn’t hate sin? The New Testament also mentions the anger of God. The apostle Paul writes that we “were by nature children of wrath” (Eph. 2:3). The God of the Old Testament is the God of the New Testament. God does hate sin and will punish sin, but he always desires to show people mercy. The writer of Lamentations says, “The steadfast love of the LORD never ceases; his mercies never come to an end; they are new every morning; great is your faithfulness” (Lam. 3:22-23). God’s mercy is his “goodness toward those is misery and distress.”  God is “rich in mercy” (Eph. 2:3), evidenced by Christ being punished for our sin on the cross. This is why there is hope for us! 1. We should seek mercy from God. “Good” people don’t go to heaven. If it were possible for us to earn salvation by our goodness, why did Christ die? The cross shows us our desperate need of God's mercy and the foolishness of thinking we could ever be good enough to gain salvation. We are unable to do anything to save ourselves, but if we call out to God for mercy, he will give it to us. 2. We should show mercy to others. For Christians, there is always the danger of losing sight of what is most important. This is what happened to many of the religious leaders of Jesus’ day. They were very good at doing religious things, but weren’t good at showing mercy to others. In the parable of the Good Samaritan, the priest and the Levite—two religious men—chose not to show the injured man mercy. “Which of these three [the priest, the Levite, or the Samaritan], do you think, proved to be a neighbor to the man who fell among the robber?” He said, “The one who showed him mercy.” And Jesus said to him, “you go, and do likewise” (Luke 10:36-37). The traditional view is that Jeremiah was the author of Lamentations. Mark S. Gignilliat, “Not Just a New Testament God,” http://www.christianitytoday.com/ct/2014/february-web-only/exorcising-marcions-ghost.html. Wayne Grudem, Systematic Theology, 200. We should always ask, “So what?” when studying a biblical doctrine. Part 1 of God Is ______. “Holy, holy, holy is the LORD of hosts; the whole earth is full of his glory!” (Isa. 6:3). Imagine reading the obituaries and seeing your name! It actually happened to someone—his name was Alfred Nobel. Nobel was the inventor of dynamite, and the newspaper described him as a man who had made it possible to kill more people more quickly than anyone else who had ever lived. This is not how Nobel wanted to be remembered, so he decided to use his fortune to institute the Nobel Prizes. Seeing his obituary while still alive changed Nobel’s life. In Isaiah 6, the prophet Isaiah also saw something that change his life. Isaiah experienced this vision of God “in the year that King Uzziah died” (v. 1). It was an uncertain time for Isaiah and his nation. Like Isaiah, we are living in an uncertain time. During uncertain times, we need a vision  of God. In Isaiah’s vision, the holiness of God is emphasized. The seraphim cry out, “Holy, holy, holy is the LORD of hosts” (v. 3). What is the holiness of God, and how should we respond to it? If you were asked, “What do you think is God’s best attribute?”, what would you say? I’m guessing most Christians would say the love of God. But the angels seem to be most impressed by God’s holiness. In the Hebrew language, a word is emphasized by repeating it. When the angels say, “Holy, holy, holy is the LORD of hosts,” they are saying that no one is holy like God is holy. He isn’t just holy; he’s holy, holy, holy. When the Bible says that God is holy, it means that no one compares to God. Isaiah 40:25 says, “To whom then will you compare me, that I should be like him? says the Holy One.” In our culture, holiness is often thought of as a negative attribute (e.g., people complain that someone has a holier-than-thou attitude). But the Bible describes true holiness as beautiful: “Worship the LORD in the splendor [beauty, KJV] of holiness (Ps. 96:9). When we have a vision of God’s holiness, our lives can’t remain the same. That was true of Isaiah after his vision. We, like Isaiah, should respond to God’s holiness in two ways. 1. We should have an overwhelming desire to repent. What’s amazing is that the holy God is quick to forgive. One of the seraphim “touched [Isaiah’s] mouth [with a burning coal from the altar] and said: ‘Behold, this has touched your lips; your guilt is taken away, and your sin atoned for’” (v. 7). 2. We should have an overwhelming desire to serve. In John 12:37-41, John twice quotes the book of Isaiah: he quotes Isaiah 53:1 in verse 31, and he quotes Isaiah 6:10 in verse 40. Then in verse 41, John says something amazing about Isaiah’s vision: “Isaiah said these things because he saw his glory and spoke of him” (John 12:41). In other words, Isaiah spoke of Jesus in Isaiah 53 and saw Jesus in Isaiah 6. Earlier in John 12, Jesus says that he will be “lifted up from the earth” (v. 32). In Isaiah’s vision, the prophet sees the Lord (Jesus) “high and lifted up” (Isa. 6:1). And in Isaiah’s prophecy of the suffering servant, he says that the servant (Jesus) would be “high and lifted up” (Isa. 52:13). Put it all together and John is saying that the one who was “high and lifted up” in Isaiah’s vision is the same one who was “lifted up from the earth” (i.e., crucified for our sins). God asks, “Whom shall I send, and who will go for us?” (v. 8). Isaiah answers, “Here am I! Send me” (v. 8). How could we not want to serve the holy God who died for us? I’m using the word “vision” loosely: seeing with the eye of faith through what is written in Scripture. G. V. Smith, Isaiah 1-39, 190.